Need tips on how to safely view a solar eclipse without damaging your eyes? You may have heard that looking directly at the sun during a partial eclipse (or in the moments leading up to and just after a total solar eclipse) is extremely dangerous for your eyes and can result in your becoming permanently blind. So, how can you safely view a solar eclipse without hurting your eyes like this guy did? There are many safety-certified solar eclipse glasses that are inexpensive and easy to use. Most of them are made from cardboard or plastic and look something like 3D movie glasses! So, what are the best eclipse viewing glasses to buy? They SHOULD have a certification number with ISO 12312-2 international designation. They SHOULD NOT be more than 3 years old and should not have been used before. They SHOULD have the manufacturer’s name and address listed on the packaging. They SHOULD NOT have scratches or wrinkles on the lenses. 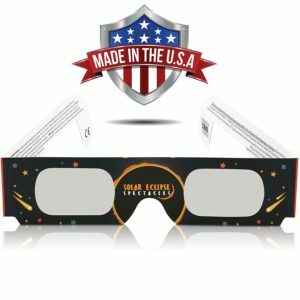 You can buy eclipse glasses from those manufacturers directly, or on Amazon. Before major solar eclipse events, you’ll even find solar eclipse glasses at retailers — such as Walmart and Target. TIP: In the weeks and days leading up to the solar eclipse of 2017, libraries and other organizations were giving away free eclipse viewing glasses. Be sure to ask around — you might find similar offers before the next eclipse! If you can’t get eclipse glasses in time before watching a solar eclipse, there are some really easy ways to make a pinhole viewer — for safely watching a solar eclipse. 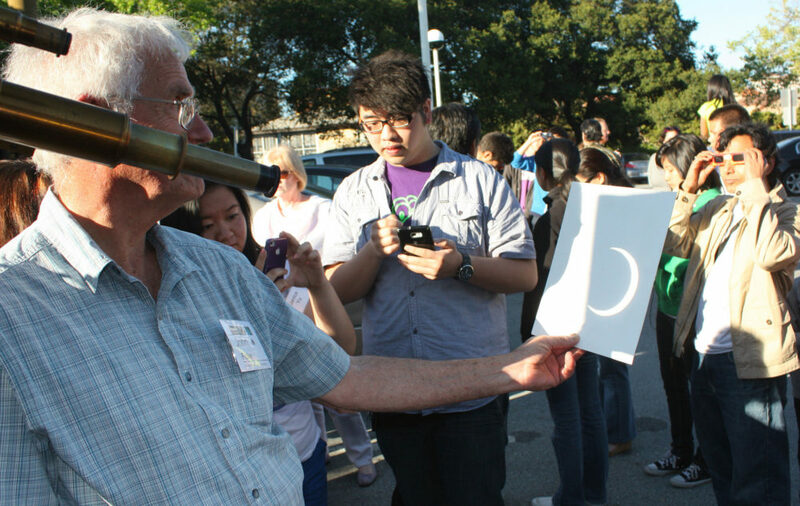 With a pinhole viewer, you can see the sun disk as its light is obscured by the moon. According to the American Optometric Association, there is only 1 safe time when you can see a solar eclipse without eye protection. That’s during complete totality — when the moon completely blocks the sun! During a solar eclipse, the moon will fully block the sun for just a couple minutes and only within the narrow path of totality. So there’s only a very small window of time when you can safely view it with your naked eyes. Be sure to ask your optometrist if you any questions about viewing an eclipse without the use of eye protection during totality. So now you know the safe ways to watch an eclipse. There are some devices that you might be tempted to use… but you shouldn’t! Homemade lenses — You can’t really ensure that they offer the necessary UV protection. Therefore, you shouldn’t rely on homemade eclipse glasses for safe viewing. Sunglasses — Sunglasses aren’t designed for directly viewing the sun, and are thereby unsafe for viewing an eclipse. Unfiltered telescopes and magnifiers — These are definitely unsafe for viewing solar eclipses! Sunlight that travels through an unfiltered telescope or magnifier is intensified, making sun rays even more damaging to your eyes than they normally are. 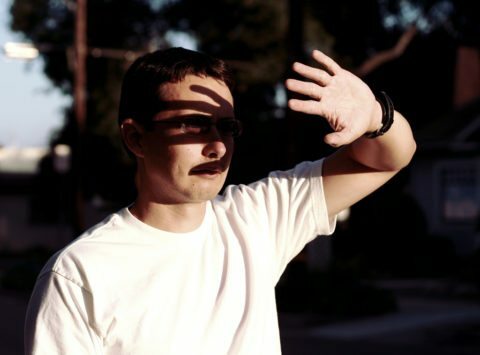 If you wish to use a telescope or magnifier to view the sun, you need to use a proper sun filter. Smoked glass — Smoked glass isn’t made to block out the sun’s harmful rays and, therefore, is not safe for viewing the sun.